A generous offer, if true. It fits with the “do this to save Spain” text that we heard about a couple of years back. Apparently he wanted some dirt on ERC too and said that he “knew” that Pujol had contacts in “Eastern countries” who were going to help create a Catalan army. None of which makes the Pujol story any less murky, of course. But if true, it helps to confirm suspicions that the Pujol investigation is less about corruption and more about politics and, ahem, territorial integrity. Personally, I’d be happy to see Pujol behind bars, if convicted, and Mas as well. But those who carp the “Junts pel 3%” line ought to be careful. The idea that kickbacks are some sort of Catalan phenomenon is laughable. I asked a (non-Catalan) friend in the know about this the other day and he told me that not only is this a Spain-wide practice, it happens pretty much everywhere. And while the independence movement has been accused of existing solely to mask the Pujol case (absurd, given that the large demos started years before anything about the Pujols was in the papers), you might well ask why we hear so much about one group of oligarchs in a country totally overrun by corrupt shits. Would it not make sense, you may wonder, for the PP to pressure an already politicised police and judicial system to investigate the Pujols, shortly after Rajoy himself was named in court documents as personally receiving envelopes stuffed with cash? Because the PP wins both ways: if the tactic works, you stop the Catalans and overshadow the PP’s corruption cases. I mean who even remembers that the PP’s offices were raided in December 2013? Nice of them to join the party. It’s the same amount of money, numb nuts. And what’s the point moving to Germany when they’ll only give you a €450 minijob anyway? I think some ‘Spain bloggers’ (a broadly middle-aged, self serving, real-estate-hawking lobby) need to learn a bit more about Spain and listen a little less to Germany. CiU and ERC have agreed the terms for forming a government in Catalonia. 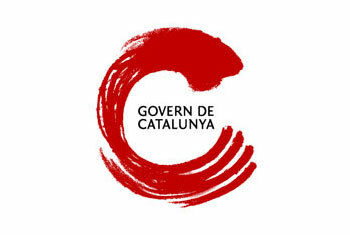 The major detail behind the agreement is that a referendum on Catalan independence ‘will be held in 2014’. The pact comes almost as late as it could – the government needs to be formed by next Monday to prevent new elections being held. Also agreed on are at least 2 new taxes designed to prevent (or more likely, reduce) further cuts in public spending (updated info below). A tax on bank deposits (my understanding is that it’s not financial transactions that are being taxed, but people or firms putting money in the bank – so it sounds like a regressive tax at the moment, but a tax rather than cuts, all the same), and a tax on sweet fizzy drinks. Both taxes are being criticised by the Spanish government. Other taxes being considered are a restored inheritance tax and a tax on the nuclear power plants. Impressively, CiU’s “no alternative” mantra looks to have been a smokescreen for pushing through the cuts it wanted. Funny, that. The agreement on the referendum isn’t quite as firm as the newspaper headlines are making it sound. It depends on the socio-political situation in 2014 and agreement between the two party leaders that it’s the right time to go ahead. So there are plenty of opportunities for various CiU bosses to derail the process between now and then. It seems that the referendum was the sticking point that caused these negotiations to stretch on for weeks. This doesn’t bode well for CiU’s commitment to the consulta but it indicates that ERC’s Oriol Junqueras has stuck to his guns. The negotiations are ongoing, apparently. Artur Mas will be confirmed as president on Friday. UPDATE: Some more finance info from the news – tax will also be raised on large stores. The total extra revenues expected from all the new taxes is about €1bn. The Catalan government had previously claimed it needs to make €4bn of cuts next year. So we’re only a quarter of the way there. Oh, and the Spanish finance minister has said that the Generalitat doesn’t have the right to raise taxes by decree. Curiously, it does have the right to cut health spending and cancel taxes by decree. Hopefully, this will force the PP to investigate similar measures for the whole of Spain. I’ll add that this is proof that demonstrations can have some effect. Unacceptable austerity and 2 general strikes led to an increase in support for leftwing groups in Catalonia. And the September 11 demo has led to a pact to hold a referendum on independence, however flimsy that pact might turn out to be. I think it’s important to recognise that this is not the work of Artur Mas at all. He tried to take advantage of a situation (he wasn’t running things in the background as the loony anti democrats would have you believe) and then voters punished him. The war against austerity is not won. It is more important, I still believe, to beat austerity than to hold a referendum. But the referendum must be held. #11S and #14N helped bring this pact about. Those of us who supported either movement, or both, must keep the pressure on our politicians. For ordering cheap HCG drops, follow the link.